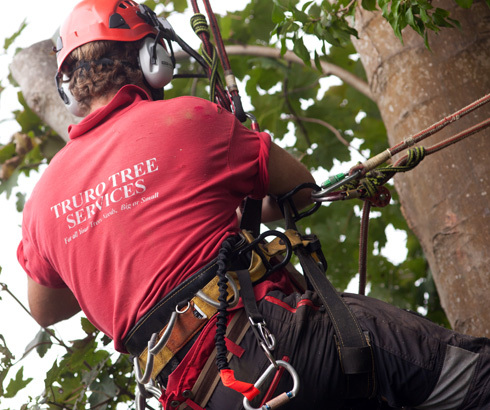 Truro Tree Services offers the full range of tree care. 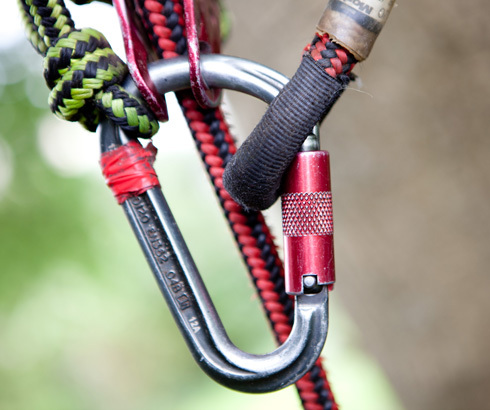 Below is a list of some of the various options available to you. 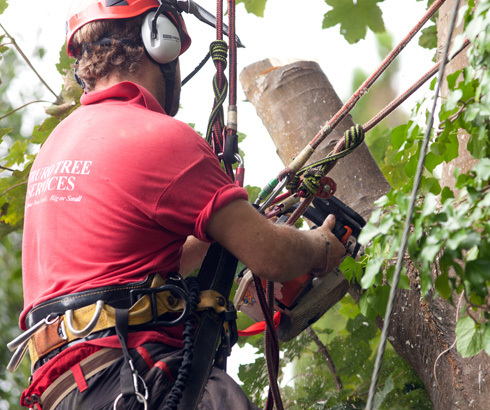 Crown thinning is used for specific purposes such as to let in additional light through the canopy or reducing the sail area. 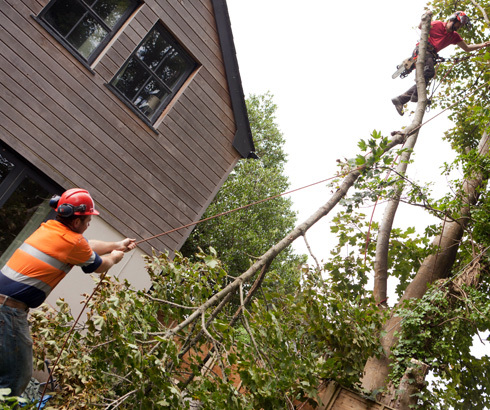 When crown thinning, a tree surgeon should try to keep an even density of foliage and branches should be balanced. 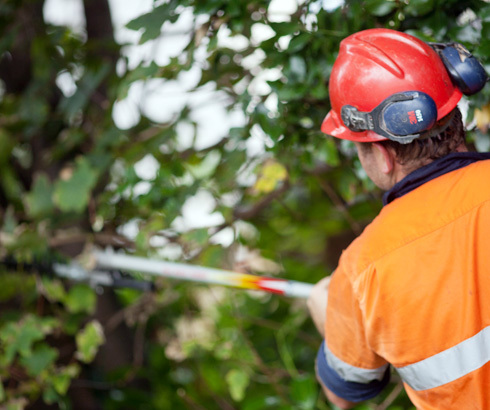 Ideally, no more than one third of the leaf-bearing area should be removed in crown thinning and branches and foliage should be kept as even as possible. 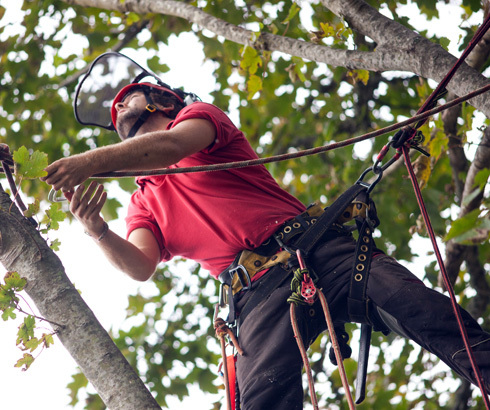 It is often necessary to remove weak, defective, hazardous and/or crossing branches so care should be taken to retain a balanced look of the tree. 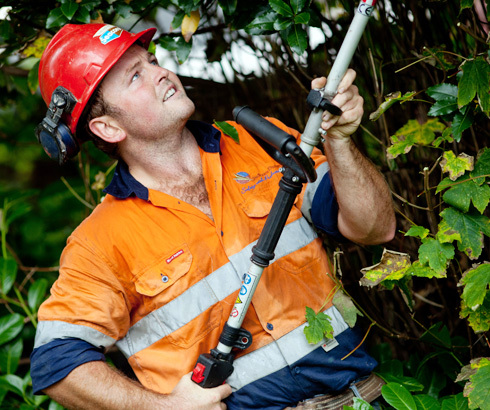 Crown lifting usually involves the cutting back of branches to the main stem and is often seen in trees by roadsides to keep the area below the tree clear for vehicles. 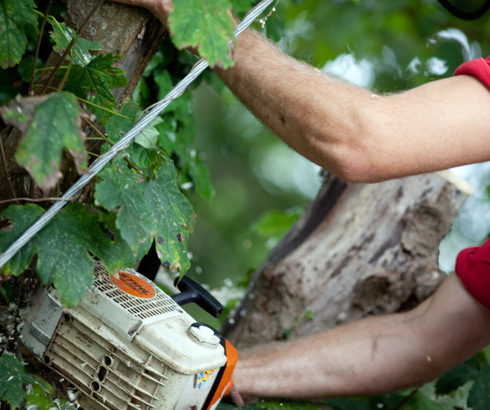 Crown lifting can increase the probability of decay as the wound left in the tree could lead to stem failure and decay. 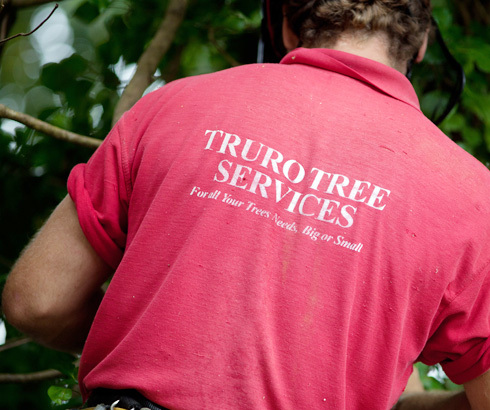 Tree surgeons may try to avoid crown lifting in mature trees but if it cannot be avoided, it should preferably involve the removal of secondary branches rather than total branch removal. 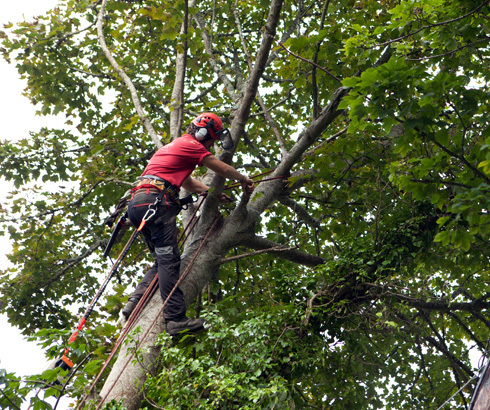 Crown Reduction is normally required when a tree has grown too large for its permitted space. 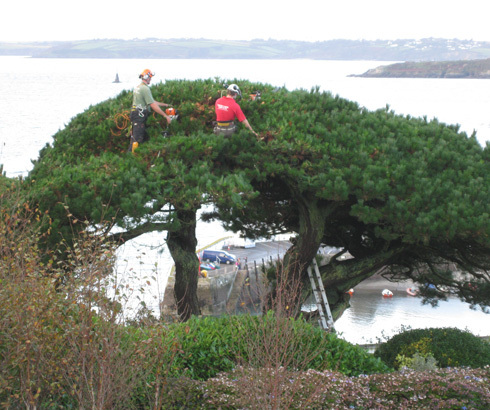 A long term, often favourable solution, is to remove the tree completely and replant. 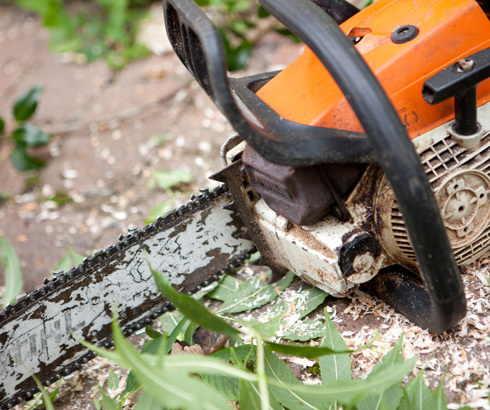 If crown reduction is necessary, it is often required when a tree or part of a tree is touching or very close to a building. 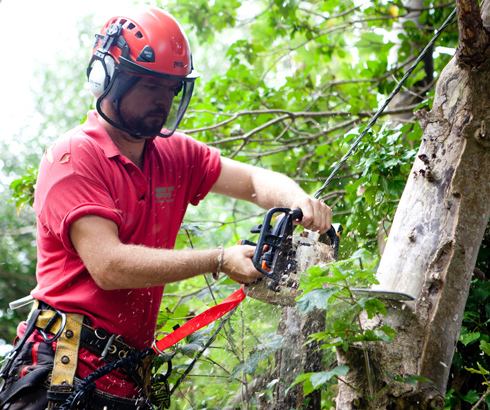 Crown reduction should be considered in order to achieve an overall reduction in the volume of a tree. 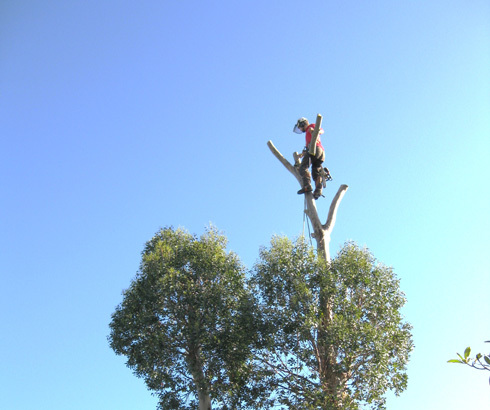 Work usually involves a general shortening of minor branches. 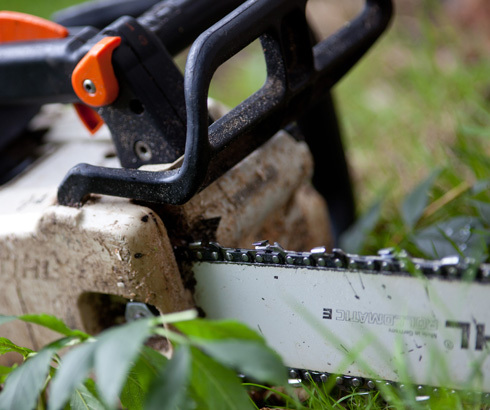 Generally 20% is the maximum that can reasonably be taken from a crown. 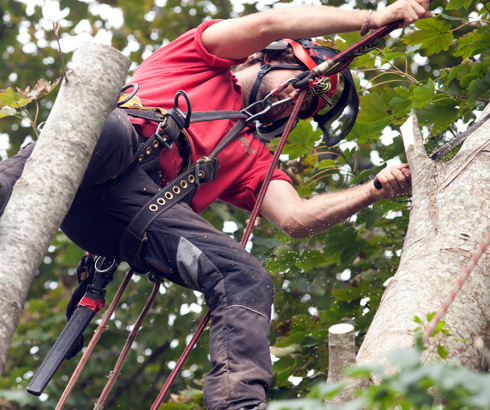 Tree felling is a skilled and potentially hazardous operation that should be undertaken only by a competent tree surgeon or tree surgery company. 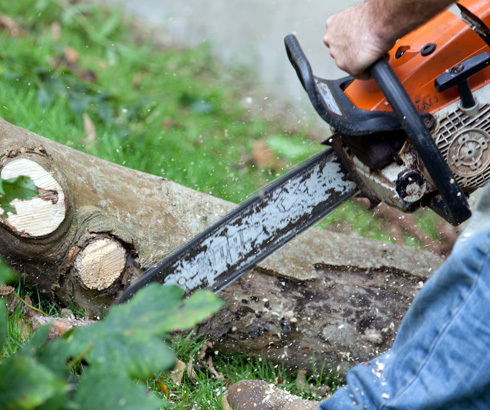 If there is no significant risk of damage to people or property a tree can be felled in one piece. 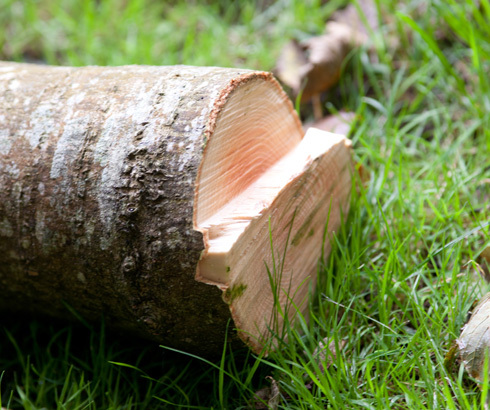 Where there are restrictions, e.g. 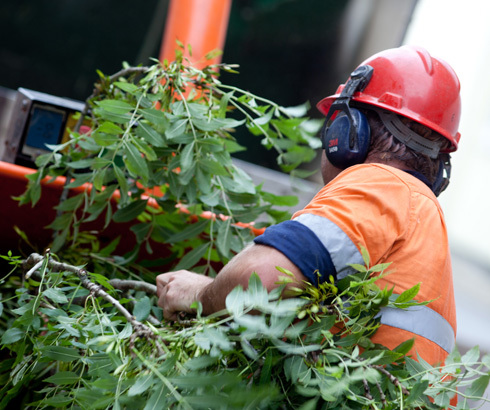 lack of space, buildings, roads, other features, land ownership or use, or other trees or shrubs which are to be retained tree surgeons will dismantle a tree in sections (sectional felling). 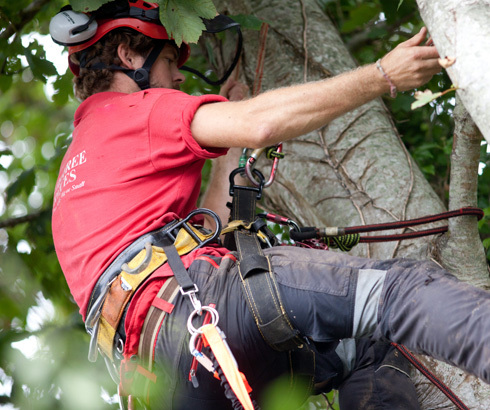 Tree surgeons will often set up rigging systems or use cranes in restricted areas to prevent large branches and pieces of wood from falling freely or pose a risk to surrounding property. 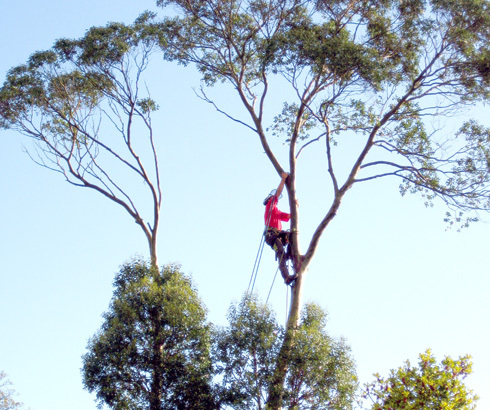 This is where young trees are “trained” to grow in a particular way. 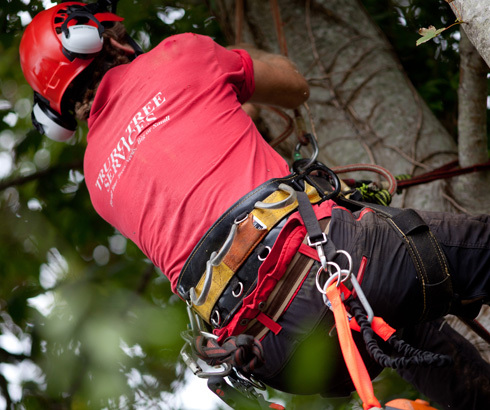 Trees can become prone to wind and snow damage as they mature due to the lack of structural training while young. 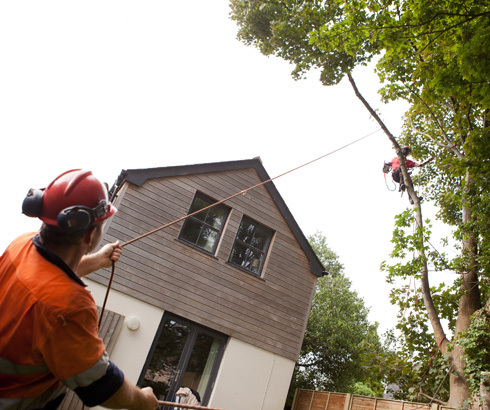 It is often necessary to train a tree to make it more resilient to wind and storm damage when it matures. 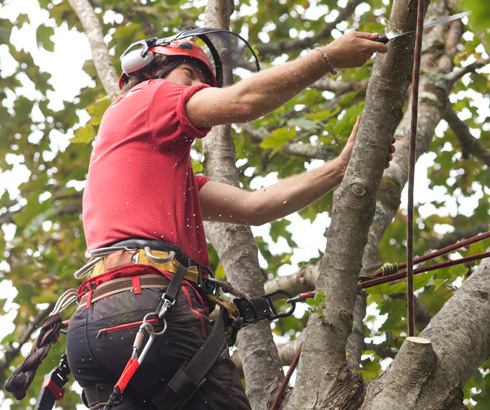 Young trees generally require less pruning, however, the training a tree receives while in the early “growth phase” of its life cycle determines its structural integrity for life. 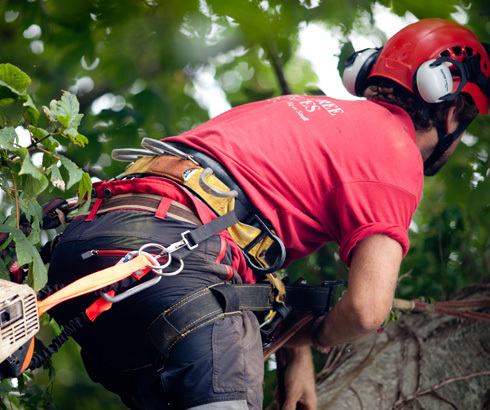 Very often, tree surgeons are employed for the removal of minor and major deadwood. 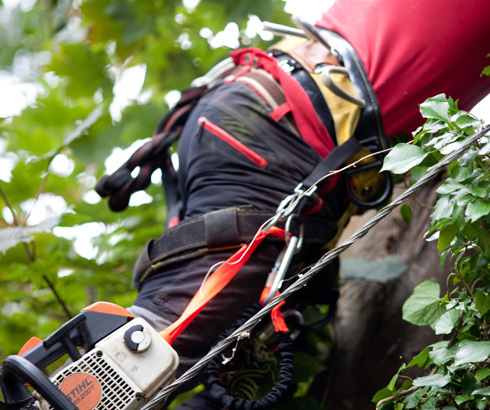 This is a particularly dangerous operation, with dead branches overhanging roads or pathways and posing high risk to people / property. 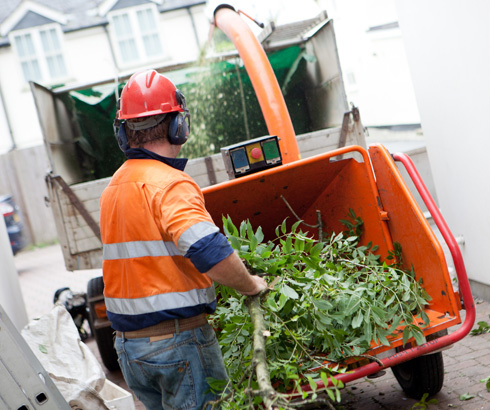 Removal of a tree stump using a machine to grind the stump to very small pieces. 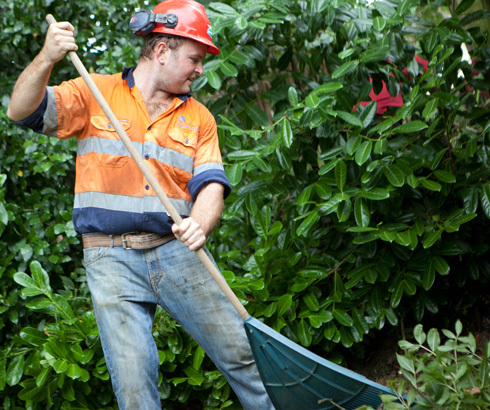 This is often mixed with the soil during the process and makes a good mulch to put back in the hole created.